The "Chestnut Vendor" is a porcelain accessory that depicts a mother and son purchasing a bag of roasted chestnuts. 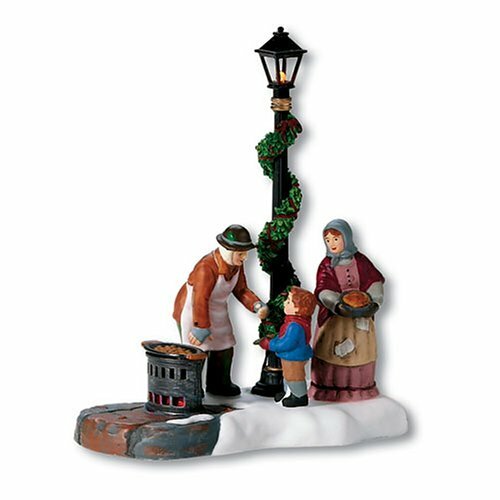 The hand-painted figurine also features a lighted lamp post that is battery operated. This figurine is part of A Christmas Carol Series, which is contained in the Dickens' Village Series, produced exclusively by Department 56.